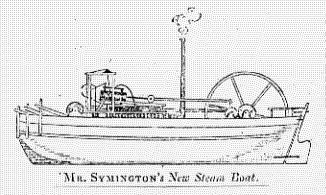 A steamboat (also called a steamship or steamer) is a ship that uses a steam engine or steam turbine to move. At first, these were paddle steamboats. 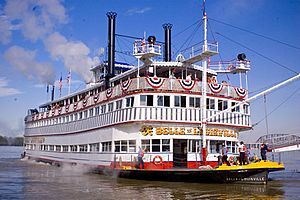 Some had a paddle wheel on the back. Others had two wheels on the sides. Most went down rivers. 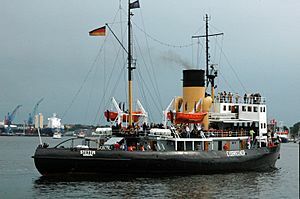 From about 1836, marine propellers, invented by Josef Ressel are used. 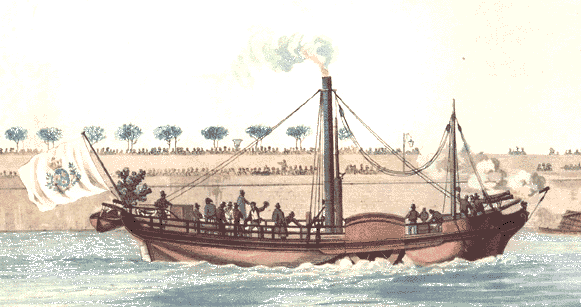 Claude François Jouffroy d’Abbans built the first working steamship in 1783. 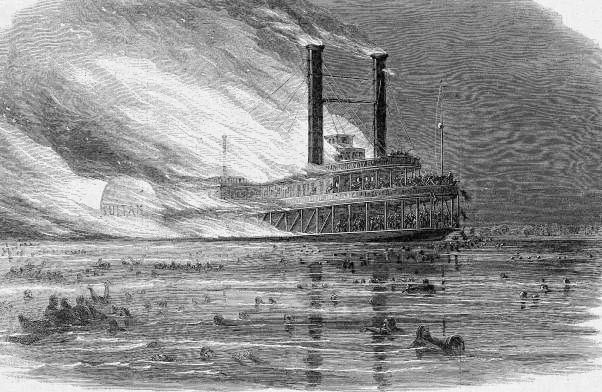 After the middle 19th century paddle steamers became rare, as the marine propeller gave more speed and burned less fuel. 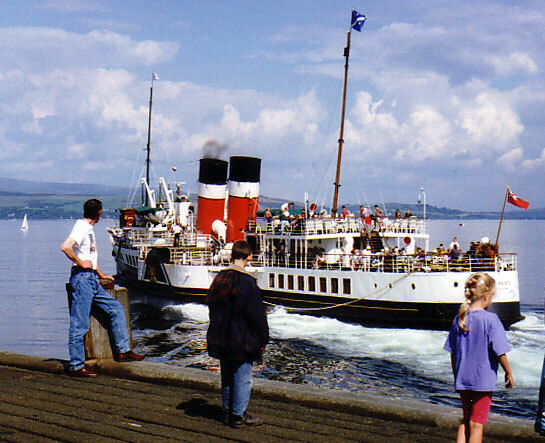 During the 20th century, marine Diesel engines largely replaced steam propulsion. 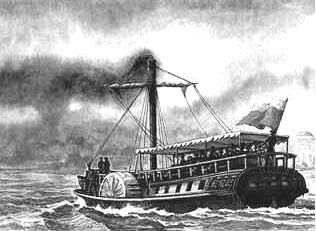 SS California (1848), the first paddle steamer to steam between Panama City and San Francisco--a Pacific Mail Steamship Company ship. 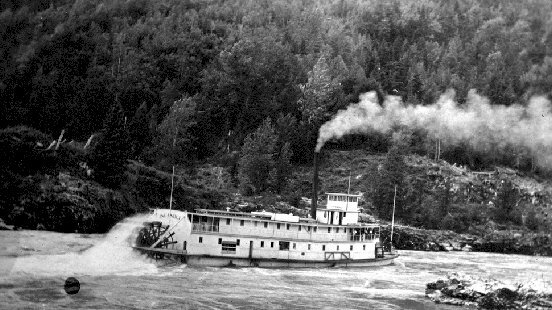 Steamboat Facts for Kids. Kiddle Encyclopedia.